Spousal support and property division can be stressful, but nothing can cause a parent more concern or anxiety than a dispute over child custody or visitation. You worry about who will raise your children, if and when you’ll be able to see your children, how the courts make a child custody determination, and what the future holds for yourself and your youngster. You need an experienced child custody lawyer who routinely handles child custody disputes and who understands your concerns and apprehensions. If you are involved in or if you anticipate a child custody dispute, speak with an Orange County child custody attorney at the Bayati Law Group as quickly as possible. The family law attorneys at the Bayati Law Group handle all aspects of child custody disputes including visitation privileges, decision-making rights, emergency issues, the modification of custody orders, and the enforcement of custody orders. In any child custody dispute in the state of California, a court will always make the best interests of the child a top priority. If you expect to fight in a courtroom for the custody of your child or children, you can best prepare for that fight by avoiding illegal drug use, criminal behavior, and excessive consumption of alcohol. Even the hint of illicit drug use could mean losing custody of your child or children in the state of California. If you’re involved in a child custody dispute in southern California – or if you expect to be – discuss the case at once with an experienced Orange County child custody attorney at the Bayati Law Group. Child custody in California has two sometimes overlapping aspects: legal custody and physical custody. In general terms, these are the central issues in any child custody dispute, and their resolution more or less determines how the other details – such as support and visitation – will be resolved. A parent with legal custody has more parental rights and makes the decisions about matters including where a child will reside, go to school, and receive medical treatment. Once a custody arrangement has been established, either parent can request modifications if they believe the current agreement will not work. Before changes take effect, the court will have to review the requested changes and make a decision based on a number of different factors. Physical custody simply refers to the parent who is with the child and providing day-to-day supervision. Many couples agree to joint physical custody so that a youngster can spend time with both parents. While these are the general issues in any child custody dispute, every custody situation is of course unique, so your own case should be discussed with an experienced Orange County child custody attorney. Our lawyers have helped clients through every step of this challenging process, so they have the necessary experience to handle even the most complex custody matters. With counsel and legal advice from the Orange County divorce lawyers attorneys at the Bayati Law Group, divorcing couples in southern California may be able to settle their custody issues without a contested trial. 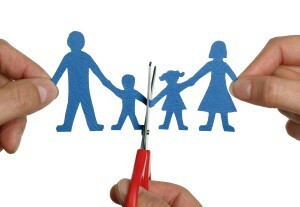 It’s always better if the parents can reach their own agreements regarding the various child custody options. If child custody decisions have to be made by a judge, it’s almost inevitable that one parent will feel that he or she has been treated unfairly. Nevertheless, if a courtroom hearing is required, the Bayati Law Group will advocate aggressively for you and your children. When parents divorced fifty years ago, almost always, one parent (usually the mother) was granted custody of the children, and the other parent (usually the father) paid child support and was granted visitation rights. Today, California courts presume that joint custody is usually the best resolution in custody disputes, but a court will not hesitate to grant sole child custody to one parent if the court determines that sole custody is in the best interests of the youngster. The noncustodial parent in such cases typically receives visitation privileges, although the court may order those visits supervised by a state agency or another designated party. You and your family will be under intense scrutiny throughout the custody evaluation, and you will be expected to maintain a high standard of good parenting. The California courts are ordering child custody evaluations more frequently in recent years. Originally, such evaluations were ordered only in the most contentiously disputed child custody cases, but judges more recently have come to rely on the evaluations for guidance regarding what is in the best interests of the children in most divorces that involve children. A custody evaluator’s expert opinion gives a judge more confidence that he or she is making the decisions that are in the child’s best interests. Judges almost always accept and implement the evaluator’s suggested child custody and parenting recommendations with few if any changes. A child custody evaluation in California can often take as long as six months to complete. After a divorce, a California court will modify a child custody order only if one parent can prove that a modification of the custody order is in the best interests of the child. When the modification of a child support order is needed, let a family law attorney with the Bayati Law Group help you to obtain that modification. Circumstances that might justify a modification include but are not limited to unemployment or a change of jobs; injury, illness, or disability; a new marriage or a new child with a new partner; or a relocation to another state or nation. Nothing is more important than your relationship with your child and your future with your child. Divorce is always tough on both parents and children, but the help and advice you need are available right here, you just need to make the call. If you are dealing with any legal issue related to divorce, child custody, or any matter of family law, schedule a consultation with us today by calling (949) 798-5700. Or, you can complete the form on the contact page of this site, where you can also find a map with driving directions to our office. It is our policy to return every client call and email promptly to ensure you receive the services you need. The Bayati Law Group is currently serving clients in Orange County and throughout southern California who are involved in legal separation, divorce and family law disputes.